Both Naseeruddin Shah & Kangana Ranaut have made their names in Bollywood film industry for different reasons. They have made it to the headlines, sometimes for controversial statements and sometimes for the phenomenal roles played by them. One thing that seems to be common in both is they speak out their mind regardless of its repercussion on everything that matters to them. Recently, they came together for a chat on Film Companion’s TapeCast. And undoubtedly the conversation was a rather intelligent and unbiased one. Both had their own opinions regarding the value system of Bollywood cinema. While Naseeruddin believes that cinema does not have much impact on the society. Kangana was all about the specifications of a typical Indian film ‘Hero’. 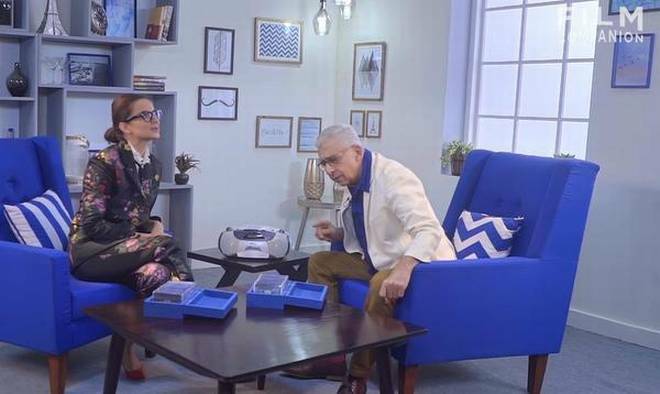 During the chat, expressing his views on the impact of cinema on a viewer, Naseeruddin said, “I don’t think a person watches a movie, no matter how brilliantly made, and comes out of the hall thinking of re-examining his life.” On the other hand, Kangna painting the image of a typical Indian hero said, “Each one has their own take away from a film. But our quintessential Indian ‘hero’ is a goon. You cannot deny that he is somebody, who breaks all the rules. He breaks all the laws, he is never kind to his woman!” Apparently, though a few might support Naseeruddin, however, not many will not agree with the statement of Kangna. While these actors have been in talks for the exceptional roles they play, the next statements will probably leave you stunned. Yes, even they have done a few things purely for monetary gains. Speaking about it Naseeruddin says, that he has not done anything only for money. But within a few seconds correcting himself, he admits, “Actually, no, I have done ad films for money. There is no other reason to do them.” Kangna a little regretful about it also confesses that she has done things sometimes specifically for money and that has been the most agonizing experience of her life.